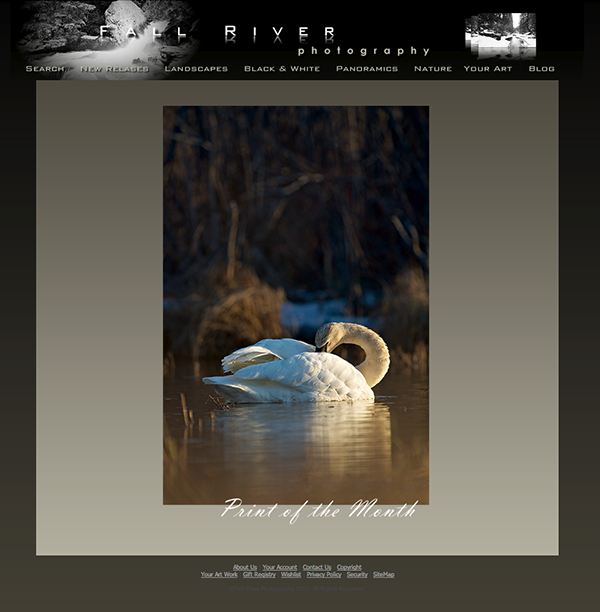 The following is an exert from our web page Fall River Photography on Alaska Trumpeter Swans. 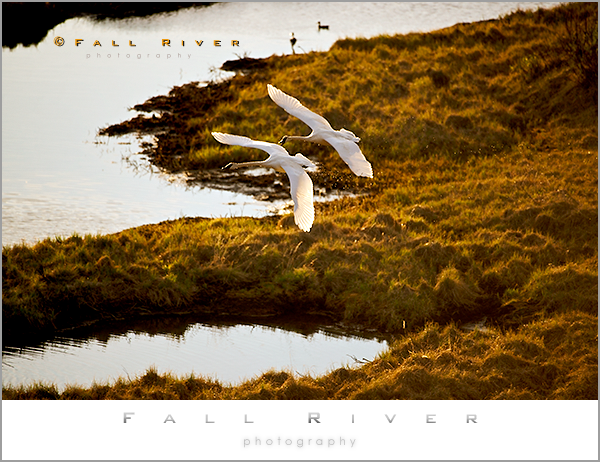 You can read more and enjoy our collection at this link:http://www.fallriverphotography.com/t-trumpeter-swan.aspx. 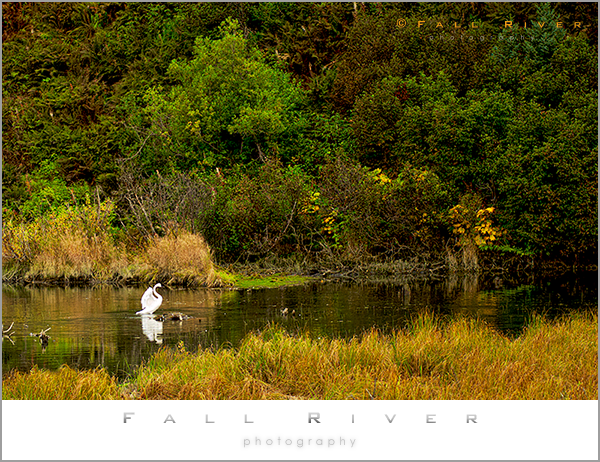 Trumpeter swans have been claiming Alaska as a breeding ground for longer than we have known they were here. 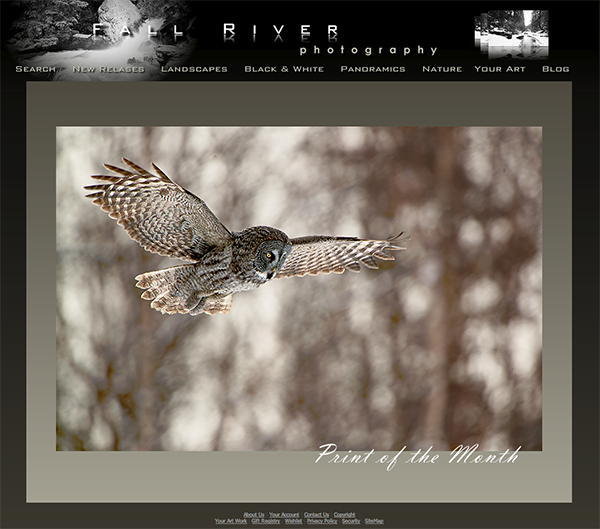 Market hunting of trumpeters in the lower 48 states had decimated the species. These hunters sold Trumpeter Swans for their meat to food markets and their feathers for the millinery trade and had accomplished winnowing the population down so far as to consider Trumpeter Swans as an endangered species by the early 1900’s. By that time, the decline of the Trumpeter Swan was so precipitous that the Lacey Act of 1900 and the following Migratory Bird Act of 1929 had no ability to reverse or mitigate the decline. Another unfortunate note is that there was no legal definition of endangered species as we know it today and hence protection of the classification until 1976 so the further slide toward extinction was practically inevitable. By 1932 regardless of their status, Trumpeter Swans had been reduced to 69 wild birds. The future of the trumpeter, like so many other species that were caught up in the destruction of wildlife that the move westward produced, were on the brink of destruction. The Trumpeter Swan, a regal and majestic bird that had occupied a breeding range over most of northern America, had been brought literally to the very brink of observable extinction. Then in 1968 an olive branch of forgiveness was extended by the forces of nature for sins of the past with the miraculous discovery of Trumpeter Swan breeding habit in Alaska. Air surveys counted 2,844 trumpeter swans in the wild that had never before been known to exist. Further efforts to better define the trumpeter swans breeding locations resulted in additional birds being found and the results of the census in 1969 allowed for the trumpeter swan to be removed from the endangered species list. The damage to the migratory bird’s future was and actually still is severely impacted by the loss of those original migratory Trumpeter Swans. The Trumpeter Swan’s survival is based on a model of strong family bonds that pass along crucial learned patterns of behavior and habitat use. 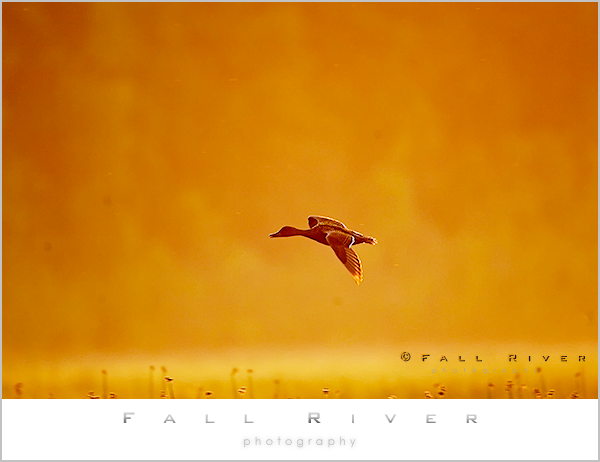 These patterns are most often passed along by older birds in the family hierarchy and it was observed that critical knowledge of wintering habitat and food sources as well as established migratory routes had been lost. The effect of this is still being seen today with biologists observing birds wintering in locations that result in very high number of winter deaths as a result of starvation. The Big Kahuna is the guy in the back snipping at the wing of the foreground Swan. He came into the lake that is off to the right, from the lake that is off to the left, and ran off 4 other swans. He has a mate on eggs on the lake off to the left but I guess he has a big territory. 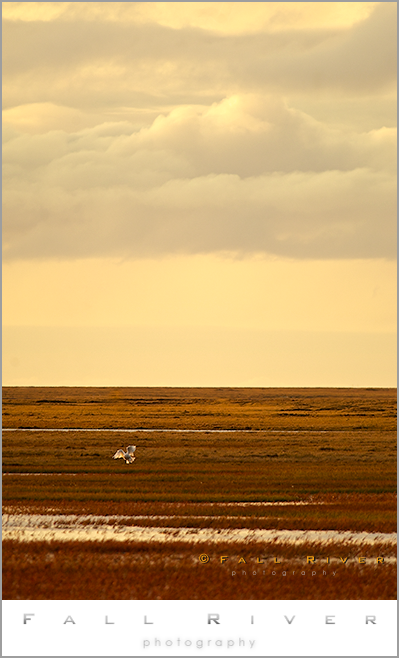 The arctic evening have longs hours of beautiful golden light and this lady is soaking up some rays. 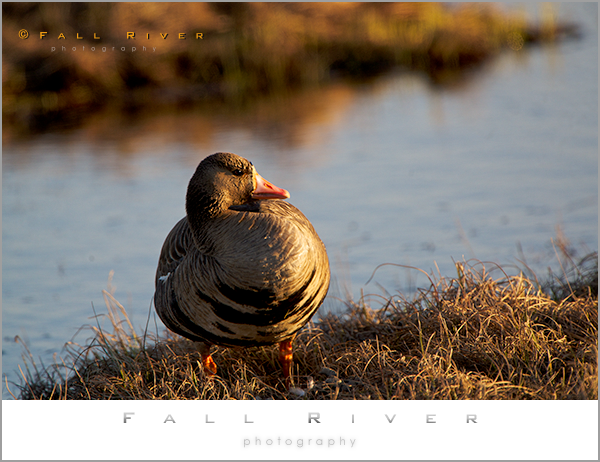 The White Fronted Goose is a long time favorite of mine and is ﻿ubiquitous on the north slope. 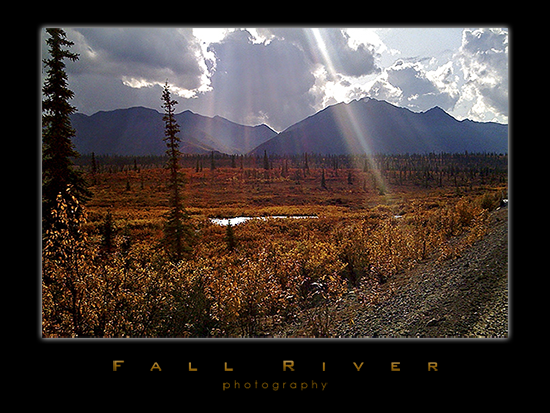 Sep 19, 2009 | Categories: Alaska | Tags: Alaska, Denali, Denali Highway, fall colors, fall river photography, fine art landscape, light, nature photography | Comments Off on The Light?